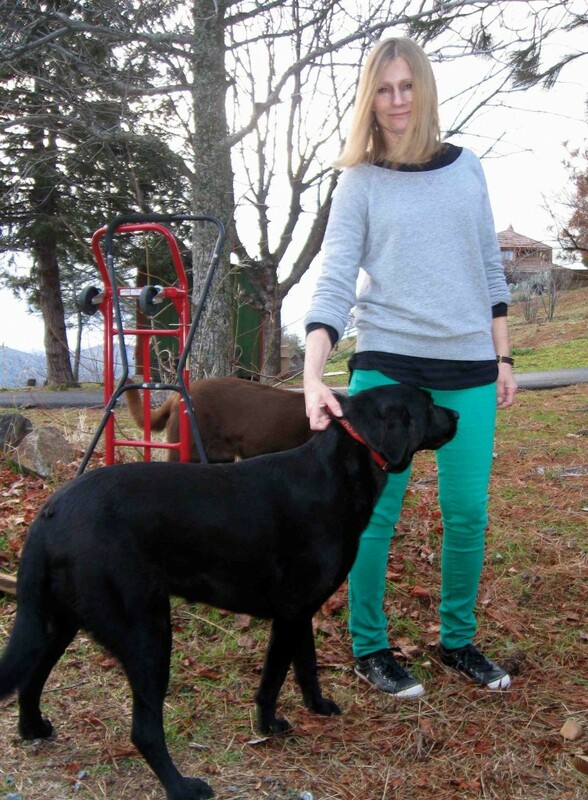 Are colored skinnies age inappropriate? WI Might Wear -- Do I dare leave the house in this? So excited! New Rag & Bone Tuxedo Jeans. Wearing a "Wall of Color"
WIW -- Do you ever wear something 2 days in a row? 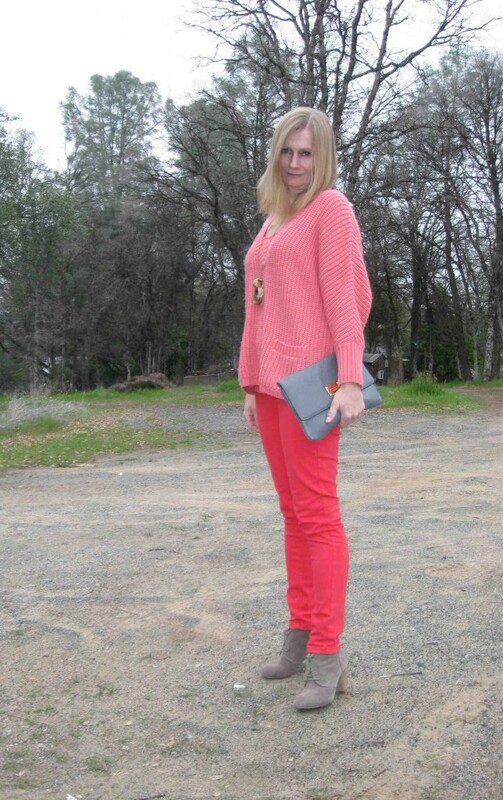 #1 -- Caslon sweater, Sanctuary Surplus coral skinnies, Baker's grey oxford heels, MK clutch. Inge-recommended pendant from Shopbop (brand?). #2 -- F21 striped sweater, Rag & Bone cobalt skinnies, ditsy floral button down from TJ Maxx, Emporio Armani snap-front trench from 9 years ago. Booties from Dr. Scholl's (last year). I lost the belt to the trench but think I can still wear it open. Or, I can get it shortened and use the fabric to make a belt. It is a very well "Made in Italy" garment. Thanks for looking and any solutions for the orphaned trench are welcome. I am still keeping the London Fog trench. I saw this article on the internet about Khris Jenner (picture #1). The article criticizes Khris for dressing age inappropriately, trying to look like her daughters. It's pretty mean, but maybe Khris doesn't care, because to quote an old Hollywood publicist's adage, "no ink is bad ink." But am I fooling myself? Maybe my efforts to make it somewhat age appropriate don't matter and people see colored denim and automatically think, young women only. What do you think? Feel free to be frank. The tonal dressing trend is one I'm embracing this season -- I suppose because I am a matchy girl at heart. Here, shades near the yellow part of the color wheel. (New) Light colored hair calf booties (w/ little spots) from 80%20 via Ideeli. Yellow skinny jeans from "Else" via Macy's. SSB Sweater WilliWear via TJ Maxx, worn over a SSB cami. Winter finally arrived, we had our first snow storm of the season on Saturday but by Monday it was mostly over and the snow was gone from the ground. 1/2 -- Leather coat (have owned it for years), faux fur vest, MK clutch. 3/4 -- Sessun via UO cost, Caslon sweater cape. Couldn't resist #4, I was commanding "Stay" and it was caught by the timer. Since this layering is fairly complex I kept the outfits tonal to keep true to my minimalist style direction. Although I live with three dogs, Maggie is my main girl and likes to get in the picture. Picture #3 shows her at age 9 weeks. Age inappropriate hair style proves this was taken prior to joining YLF. Bold pattern mixing, volume on volume, patterned palazzos/pj pants going on here. Lots of potential for disaster. I need your advice. 1. Outfit concept (pictures 1 - 4) -- Yay or Nay? 2. If yay, should I wear the blouse knotted (pictures 1&2) or long 'n loose (3&4)? 3. Red Michael Kors bag (new with tags) -- Yay or Nay? 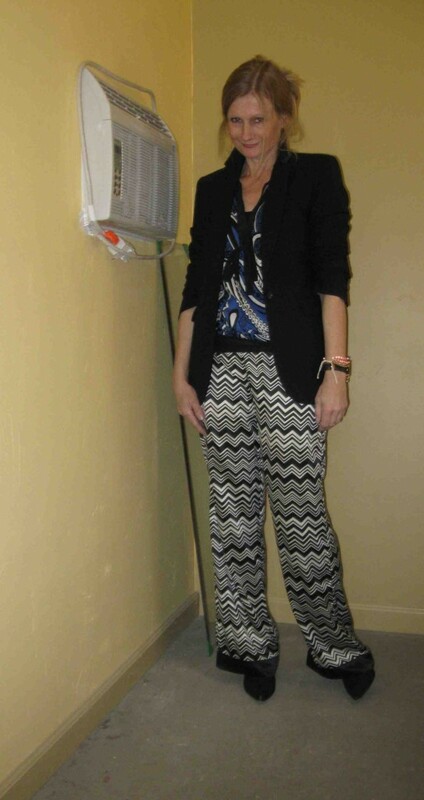 Details: Missoni for Target pants, Karen Kane print blouse, BR black wool jacket, Edmundo Castillo point toe booties. Shown with Express black clutch and Michael Kors red bag. I got them a few days ago. Here are some lab pictures taken late last night (apologizing for the bad hair and makeup). The coral top matches but is so short, I'm getting rid of it. I love these jeans (even if they start sliding)! I love the way they make my curves look good! For the longest time, I've wanted a straight rectangle shape with the straight boyish legs to go with it, so I would look better in skinny jeans. Now, finally a pair that work with my shape. Now I'm wanting them in khaki! So, my usual dog walking outfit is a little frumpy, starting with Shape-Ups at the bottom. For a long time I have been wanting a better walking look, here it is, starting with my new Simple Converse-type sneakers. I find these shoes put me in a tomboy dressing mode. Picture #5 is the other half of my fashion audience, the heifers are quite interested in my daily outfits. ETA Simple shoes up close. ... As opposed to a "Pop of Color." This effect has been shown lately. #1 -- I wore this yesterday. Yes, it's true, a utility pole has been sprouting from my head this spring. I did get compliments but felt too bright too blue too much. But I had fun going maximal with the accessories. I layered two gold necklaces and two big beaded bracelets over my watch! #2 -- Three shades of green. Somehow, I like this because the tonal wall of color approach works better without prints. At least that is what I've learned experimenting with this trend. What do you think? Are you/have you tried the tonal dressing trend wearing spring colors or brights? Among my purchases for this past autumn-winter season, this Missoni for Target blouse is one of my favorites. So much so that I wore it for a few hours on Tuesday and then for the afternoon again on Wednesday. 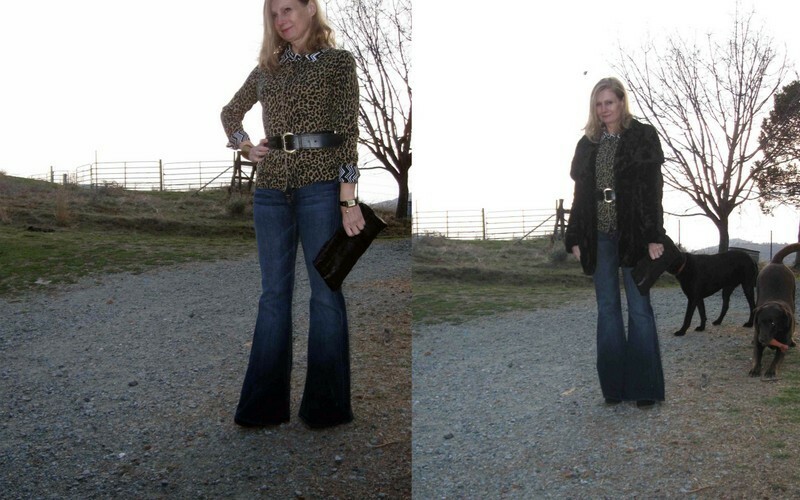 Picture #1 is the blouse worn with an almost-orphan Talbots leopard sweater, 7FAM bell bottom jeans, a Linea Pelle belt and Express black clutch. This is my first time posting a picture using Picasa, I couldn't figure out how to get my head back in the picture. Picture #2 -- the blouse is worn with another orphan sweater from Express via TJ Maxx, and my Rag & Bone cobalt jeans. Picture #3 -- WIW today. Grey, green and black. The clutch is brand new! I am suddenly in love with the light weight of clutches, as well as the instant style they add to an outfit. How about you, do you ever wear anything twice in a row or is there an *ick* factor? What about clutches? Do you like them?